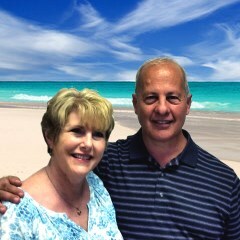 Stacey and his wife Linda have been members of Staunton Grace since 2008. Stacey gave his heart to the Lord in early 1973 while attending James Madison University. Stacey and Linda have been involved in several local churches, serving as worship leaders, home group leaders and involved in children’s ministry. They were actively involved for many years in Harrisonburg’s Grace Covenant Church before moving to Waynesboro in 1988, where they currently reside. Stacey & Linda were married in 1977 and have a wonderful family including 2 sons, a daughter-in-law, and 2 granddaughters. Stacey is a senior buyer for an electronics manufacturing corporation in Lynchburg, VA where he has worked for the past 16 years.